In the early days of moving from one location to another, I often didn’t think about the benefits or disadvantages of one moving day over another. I would change jobs or decide that a different apartment or house was better than the existing one and would schedule a trip or a day to find new quarters and another weekend to convince a group of friends to help me out with a day of moving from one location to another, followed by pizza and beer for the entire moving crew. As I became more sophisticated in my choice of housing and at the same time accrued more possessions, as well as a husband, a dog and two children, the idea of picking a moving date became a more significant part of the entire process. There were several reasons to be more specific about identifying the best time to move. One of them was cost. I learned that the time of year, season, time of the month and even the day of the week can make a difference in the cost of the move, all other things being equal. While not every move is able to be accomplished at the perfect time, there are some things that I look for when planning a move, whether across town or across the country. Here are some questions to ask which may help you to determine when would be the best time to uproot yourself and your family to relocate to a different location. How soon must I be at the new location? What I used to consider a critical reason to move right now, no longer seems so important at times. As a single person, I could decide that I needed to move across town in order to live in a complex with a better pool. I would just give the landlord a 30-day notice and pack up my things and move over a weekend or two. The moving date was only defined by the required move-out date from my current residence. Sometimes I would be limited by preparations in the new location. The landlord might want to repaint, or to put new carpeting down. If necessary, I could always crash at the house of a friend for a day or two and sleep on the couch. The first time I really was affected by a “must be there” date was when I moved across the country in order to accept a nice promotion in my job. I had to be there on a specific date in order to start work. It was the type of job where there wasn’t much leeway about arriving on time, with a put-together appearance, ready to go to work. The job was one where casual clothing was not appropriate, which meant that I needed to have all my office attire and accouterments available to me bright and early on a Monday morning. So, not only did I need to allow time for the three or four days to drive across the country, but time to unpack essential items and to get some rest before starting the job. My new quarters were move-in ready, but I didn’t want to risk being unable to get utilities turned on over a weekend. So I set my moving date a week earlier and hoped for the best. Fortunately, everything went exactly as planned, and I was able to meet the movers at my new location exactly as I had arranged. I made it to the new work location in good condition. What time of year is the best time to move? Moving company statistics say that six out of every ten moves occur between the months of June and October. This has been my practice for many of my moves. The major reason for choosing these months is that the weather is nicer. I don’t need to worry about cold weather interfering with the ease of packing and loading things into the moving van. If I must drive to my new location, I am less likely to be affected by nasty road conditions. With school age children, I have made a practice of not pulling them out of school during the middle of a school year. I find that it is less upsetting if a move is made early in the summer so that my two pre-teens have time to learn more about the positive features of the new location. Another reason for relocating during the summer is that the weather is suitable to indulge in some outdoor activities. This makes the acclimation to new quarters go much more smoothly. Choosing a move during this period can have some negative aspects. For example, if the weather is really hot, loading household goods and driving a long distance can be an unpleasant experience. This is a trade-off for most people. Because the moving companies are most in demand during the four to five month period beginning in June, the prices tend to go up somewhat. If the cost of the move is a factor, you may want to adjust your move to take advantage of the off-season. When the end of classes is an issue, this may not be an option. What is the best time of the month to schedule a move? If you think about when many people decide to move, it is toward the end of the month, so they have the least expense for lease closeout contracts. The rules of supply and demand apply here too. When more people are in need of the services of the moving company, the price of the services may go up. Avoid the first week or so of the month, for best pricing. This assumes that you are able to be flexible about the date. Regardless of the date you choose, be sure that you discuss your options with the moving company. Is there a better day of the week to move? I found a couple of factors affected the choice of which day of the week was best to schedule as a moving day. When I needed to have the most possible help, obviously a weekend was the answer. My friends were more likely to be available to help. My children were not in school and my spouse was ready to help organize and pack. The traffic on roadways tends to be less congested on the weekends, so if the moving involved driving, a weekend choice was preferred to relocation during the work week. However, I also found when checking with the moving companies that a move scheduled on Wednesday or Thursday was priced lower than at any time of the week. Morning, afternoon or evening—which is best? Some of the elements which affect the time of day that is best for moving will depend upon the amount of traffic in the location and the weather conditions. For myself, I have always wanted to get the move started in the morning or early afternoon so that I would be done with most of the heavy tasks early in the day. This schedule was important if the loading of possessions was to be followed by driving duties. Some friends of mine say that moving at night in the summertime is the best option for them. The traffic is lighter and the temperature is nearly perfect. They are aware of the higher risk of tripping and falling while loading items. Should I move during the holidays? Christmas, Hanukkah, Thanksgiving and Easter are often considered family holidays and may be a troublesome time to move. As with some of the other scheduling periods, holidays may have the benefit of more family members and friends available to help, but I was always reluctant to fill a special family time and all the associated traditions, with the difficulties and stresses of a relocation. Moving companies may not want to schedule holiday times with their workers, so the prices tend to go up during holiday periods, in my experience. On the one occasion when a holiday move was essential, I chose to hire a full service moving company and with extensive pre-planning was able to spend the holidays in a family vacation before meeting the movers at the new location. The cost was higher, but the time spent with my family at a special vacation spot made the relocation less traumatic for the children and more fun for my husband and myself. How far away is the new location? The day of the big move for me also depends on the distance I will be moving. Across town means that the job can likely be completed in a single day, with the opportunity to incorporate friends to help with the process. When moving across the state, it may be more than a single day to get the job done. A cross country move is likely to require two or three days. Even on those occasions when I chose to turn everything over to a reliable moving company and fly to the new location, planning ahead was the major factor in how easy the process of relocation was. 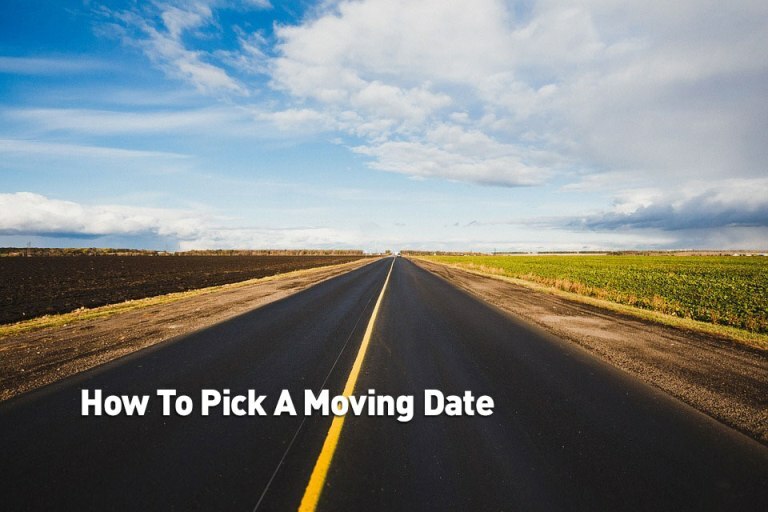 Obviously, the major impact on choosing the moving date is how flexible you can be for the date. There may be no way to move except on a particular day, week, month and season. For other households, there is some flexibility in the timing of the move. In most instances, flexibility in the date is partially or completely offset by the cost of the move. Other considerations are brought into focus, including school terms, work requirements and some less common. Choosing a reliable moving company to complete every aspect of the move is one way to remove most or all of the stress and frustration of the relocation. When it is all left to the skill and experience of the movers, the date is less important. If you accept the cost, any date is acceptable for the move. On the other hand, limiting the cost means choosing the date of the move with the consideration of other factors.